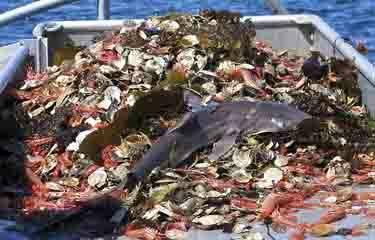 As aquaculture expands the minimisation of waste will become increasingly important. A recent headline caused a stir on a discussion forum for one of aquaculture’s certification schemes. It claimed that around 18.1 metric tons (MT) of seafood is wasted every 10 seconds, and that if a single day’s lost products were put in one line, it would go around the world three times. While this indicates a highly deficient supply chain system, it also indicates that there is a significant amount of seafood product that can be utilised before exploiting fresh stocks. Certainly something to be taken into consideration as pressure increases on marine resources and aquaculture looks to expand.